A maximum of two dogs per guest room can be accommodated. Each guest room will have easy access to outdoor pet walkways for exercise and green spaces with pet relief areas. 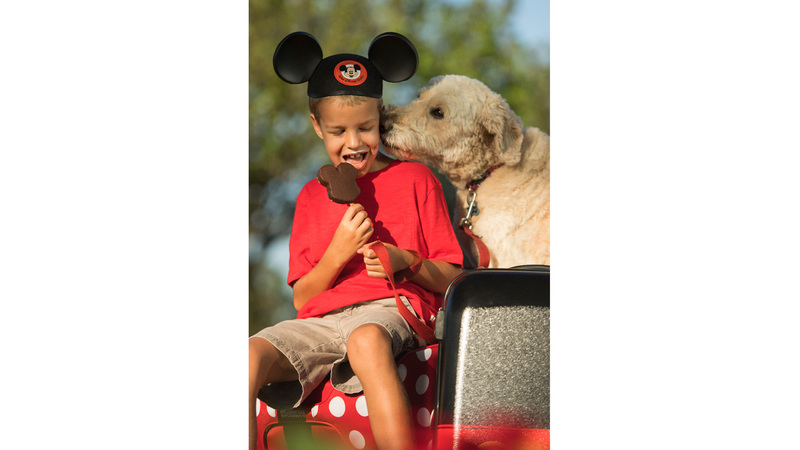 Dog lovers will find plenty of Disney amenities and special touches for their four-legged friends. At check-in, Pluto’s Welcome Kit includes mat, bowls, a pet ID tag, courtesy plastic disposable bags, puppy pads and dog walking maps. Also included: a Pluto “Do Not Disturb” door hanger indicating to hotel staff that a pet is in the room. Disney enjoys a partnership with Best Friends Pet Care, an on-property full-service facility that can provide assistance with pet daycare and other pet services (fees apply). UPDATE: Walt Disney World is discontinuing this program starting October 2018.